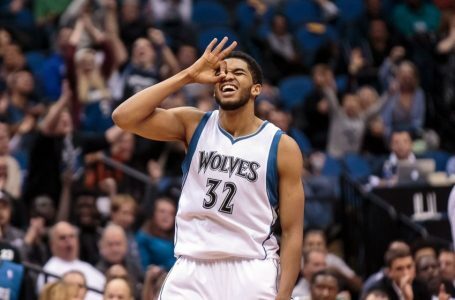 The 19-29 Minnesota Timberwolves play at the 32-15 Cleveland Cavaliers on Wednesday. The standings show that the Cavs own the East’s best record and that the T-wolves are no better than 10th among Western Conference teams, 2 1/2 games back of the West’s final playoff spot. However, the Cavs stumble into this game having won just FOUR of their last 11 contests while conversely, the T-wolves have won EIGHT of their last 11! LBJ first had a back-and-forth with Phil Jackson, then called out his own team and most recently, finds himself in a war-of-words with Charles Barkley. Is LeBron taking out his frustrations for the Cavaliers’ 7-8 January on anyone he can find? Cleveland just finished off LBJ’s first losing month since 2006 and is searching for answers as a new month begins. “I’ve had worse months in my career,” James told reporters. “Never get too high or too low about it, stay even-keeled. Just get better and make the next game or the next month better than the last one.” Cleveland still sits atop the Eastern Conference but is only returning home for one game before embarking on another four-game road trip while dealing with the prospect of Kevin Love (back) sitting out several games. Minnesota had playoff expectations this year but got off to a horrible start, despite the presence of Towns,Wiggins and LaVine plus the addition of highly-respected head coach Tom Thibodeau. The Timberwolves will try to take advantage of the struggling Cavaliers as they continue a steady climb up the standings in the West. Minnesota battled through a 111-105 overtime triumph over the visiting Orlando Magic on Monday, as Ricky Rubio stepped up with 22 points, eight rebounds and eight assists. Rubio (8.3-8.0 APG) continues to be the subject of trade rumors but he’s averaging 12 points and 11.1 assists in his last 10 games. Then there is the trio of Towns (23.0-11.9), Wiggins (22.1-4.2) and LaVine (19.1). Love (19.9-11.0) had an MRI exam reveal no structural damage but will miss at least Wednesday’s game (against his former team) before being evaluated again. Shooting guard J.R. Smith (8.6) has been out since undergoing surgery on his thumb in late December and is not expected back until late March. Of course, the Cavs still have LBJ (25.6-8.0-8.5) and Irving (24.4-5.7 APG) but no Love or Smith. Then there is PF Tristan Thompson (7.3-9.6), who posted back-to-back double-doubles in wins over Brooklyn and Oklahoma City over the weekend but then did not attempt a shot on Monday in the loss to the Mavs, finishing with zero points and eight boards in 26 minutes. I’m taking the points with Minnesota.